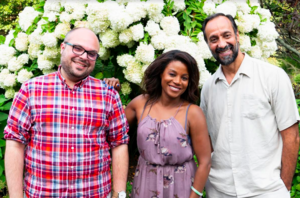 Westport Country Playhouse will stage “Man of La Mancha,” the Tony Award-winning musical about Don Quixote’s quest for “The Impossible Dream,” from September 25 through October 13. Directed by Mark Lamos, Westport Country Playhouse artistic director, the story of Quixote’s battle for good and the love of his fair maiden is written by Dale Wasserman, with music by Mitch Leigh, and lyrics by Joe Darion. Performance schedule is Tuesday at 7 p.m., Wednesday at 2 and 8 p.m., Thursday and Friday at 8 p.m., Saturday at 3 and 8 p.m. and Sunday at 3 p.m. Special series feature Taste of Tuesday (September 25), LGBT Night OUT (September 27), Opening Night (September 29), Sunday Symposium (September 30), Together at the Table Family Dinner (October 2), Sitter Sunday, sponsored by the Westport/Weston YMCA (October 7), Open Captions (October 7), Backstage Pass (October 10), Playhouse Happy Hour (October 11), Thursday TalkBack (October 11), and Open Captions in Spanish (October 13). Single tickets start at $30.